Some area primary care physicians no longer see patients in the hospital, which gives them more time to take care of patients in their clinics. 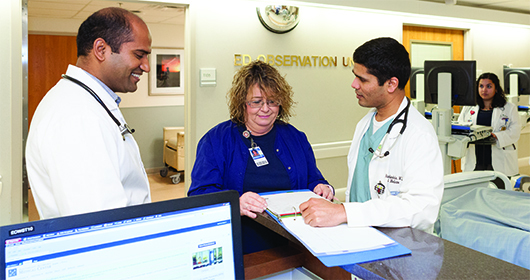 While you are in Southeast Health, primary care physicians work closely with hospitalists who are specially trained to deliver comprehensive medical care to hospitalized patients. Once you are released from the hospital, you return to your primary care physicians. Prompt and complete attention to all patient care needs including diagnosis, treatment and the performance of medical procedures (within their scope of practice). Safe transitioning of patient care within the hospital, and from the hospital to the community, which may include oversight of care in post-acute care facilities.